One of the things with which I’ve struggled the last 7 or 8 months while full-timing is in locating organic products for our household, both food items and household items. Time has been spent, more often than not, in locations where it is hard to locate such items, and if they are found, the cost can be more than that to which I am accustomed. 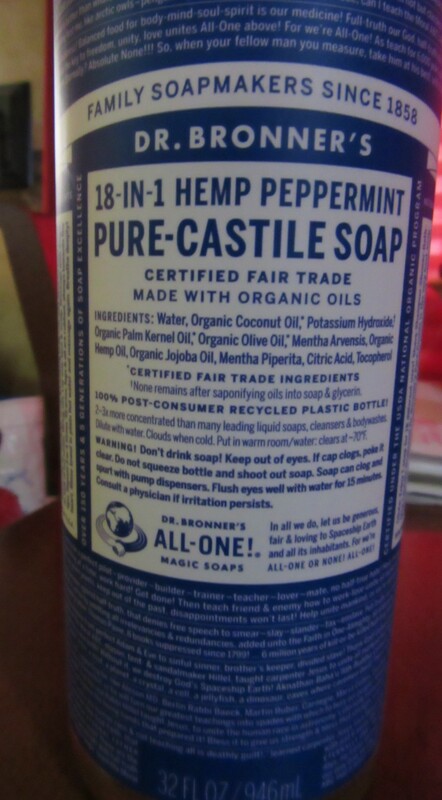 One of my new favorite things is Dr. Bronner’s Organic Peppermint Castile Liquid Soap because you can use it for almost every soap need from washing hands to dishes to laundry to keeping bugs off your plants. It is concentrated, so though I paid $10.95 (no tax and no shipping charges with $49 order) for 32 oz, it is going to last for a good while, and I can use it for most everything. This morning, I filled my soap bottles for hand washing (part soap and part water to dilute it) and then used the little bit of run off from the bottle (which was actually too much) to wash dishes. The camper smells amazing, the dishes are squeaky clean, my sinuses are open, and my mood is enhanced. This is only one of the many products I’m enjoying, and I don’t have to run from store to store (brick and mortar or online) to find these items; they come to my door. 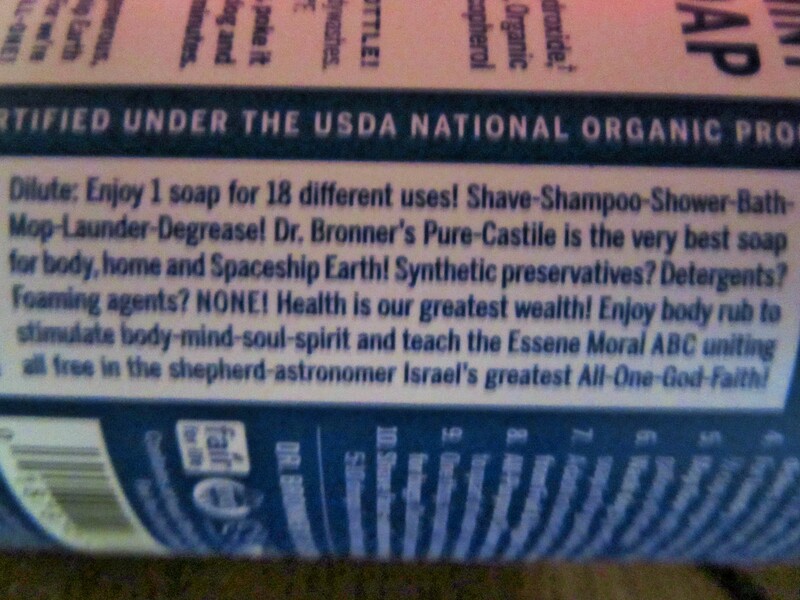 It eliminates the needs to have several refill bottles in the RV for different things since this soap is good for most all of your soap needs, and it weighs less because it is concentrated. Click here to sign up for your trial membership. As it is, at the end of my trial period, I’m a paid subscriber. Click on the link above if you want to give it a go.